Milan 2014: industrial designer Marc Newson has raided the archives of 80-year-old glasses manufacturer Safilo to find inspiration for his first collection of optical eyewear, which will launch in Milan in April (+ slideshow). Newson based the collection of five different optical frames and two styles of sunglasses on an old Safilo model, using a combination of different materials and technologies to differentiate each design. "Frankly it really wasn’t until I had to start wearing eyewear that I understood what an extraordinary necessity it is," Newson told Dezeen. "I hit fifty and a couple of years ago I started having to wear reading glasses." 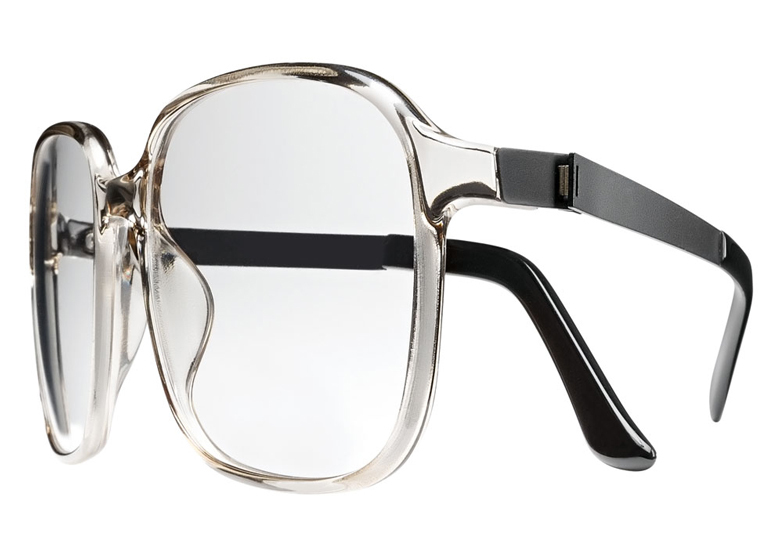 "In many ways it’s a really interesting object, a pair of glasses, because it straddles the borderline between fashion and industrial design," said Newson. "Optical frames of course have a slightly more functional angle because you absolutely have to wear them, but more interestingly for me as a designer, they’re like a tool. I’m obsessed with really good quality tools." Founded in the 1930s, Safilo is now one of the world's biggest manufacturers of glasses for consumer brands, but it continues to produce its own ranges. Each style in Newson's collection incorporates innovations from Safilo's past, starting with Optyl - a super lightweight, hypoallergenic plastic that can remember its shape and was patented by Safilo's founder in the 1960s. 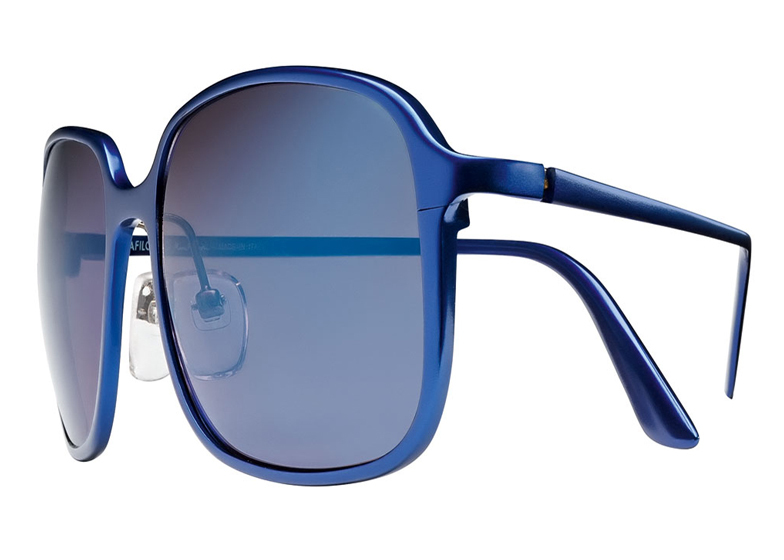 Newson has also used two of Safilo's innovations from the 70s – the Elasta 80hinger and a new interpretation of the ultra-thin steel wire frame of its UFO Collection – as well as incorporating materials from the brand's more recent history including aluminium. "Safilo were the first company to make this kind of invisible frame," Newson told Dezeen. "It was basically a piece of spring steel wire which is wrapped around the lens, so we’ve sort of reintroduced this old technique which Safilo invented." "Another frame is made of a steel sheet, very thin, pressed into the shape with a live hinge in the stainless steel," he said. 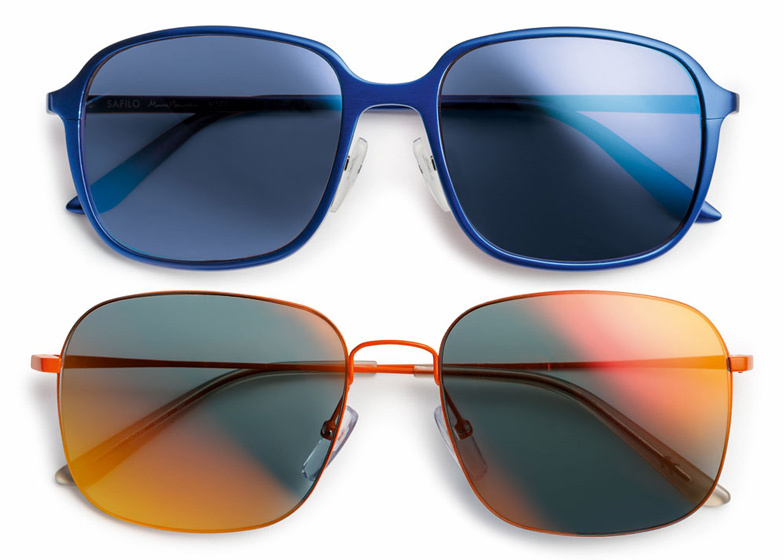 The glasses come in a variety of finishes, including light and dark metallic tones, a royal blue and an orange that often crops up in Newson's work. The collection also includes a very limited-edition range of four models. Only 80 pairs of each will be available and will come with cases by Italian accessories brand Valextra in calf leather, stamped with "Valextra for Safilo Marc Newson" in silver. Safilo celebrates its 80th anniversary by presenting the exclusive capsule collection "Safilo by Marc Newson"
Safilo celebrates its 80-year history by launching a special capsule collection created in collaboration with Marc Newson, which will be unveiled in April 2014 during the 53rd edition of the Salone del Mobile in Milan. Among the principal features that unite Safilo and Marc Newson in the project's core vision, are the primary use of state-of-the-art components, the concepts of transparency and transformation, and specifically, the reinterpretation of the past in a contemporary way through the balance between the distinctive approach of this guest-designer and the highest standard of made in Italy manufacturing guaranteed by Safilo. In particular, the new capsule collection stems from revisiting a historical model personally chosen by Newson and resulting in 5 different variations, through 5 specific materials and technologies, based on the original shape from the Safilo's archive. The assortment will consist of 5 optical frames and 2 sunglasses. Respecting a precise chronological order that retraces the most important milestones and achievements of the brand’s 80 years of history, each of these 5 new models is characterised by unique features and avant-garde technologies that connote the qualities of the brand. 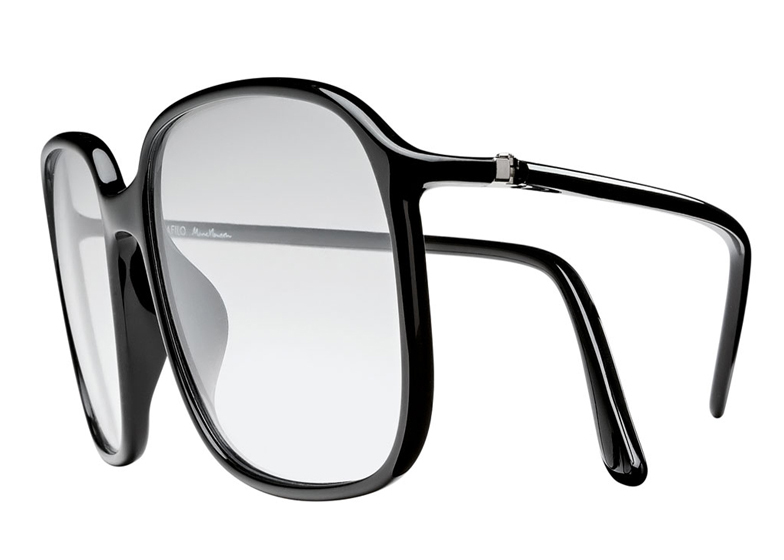 They include: the use of ultra-lightweight Optyl (a trademark registered by Safilo) - whether used individually or combined with the new revolutionary Elasta 80 hinge; the application of the reinterpretation of the historical UFO collection (a frame formed by an ultra-thin steel wire); the use of aluminium and, lastly, steel integrated with the new hinge. The fluid and essential silhouettes, pervaded by an almost organic feel, are further enhanced by sophisticated and luminous hues such as metallic shades in light and dark tones, royal blue and orange - the colour that symbolises the stylistic code of Marc Newson. 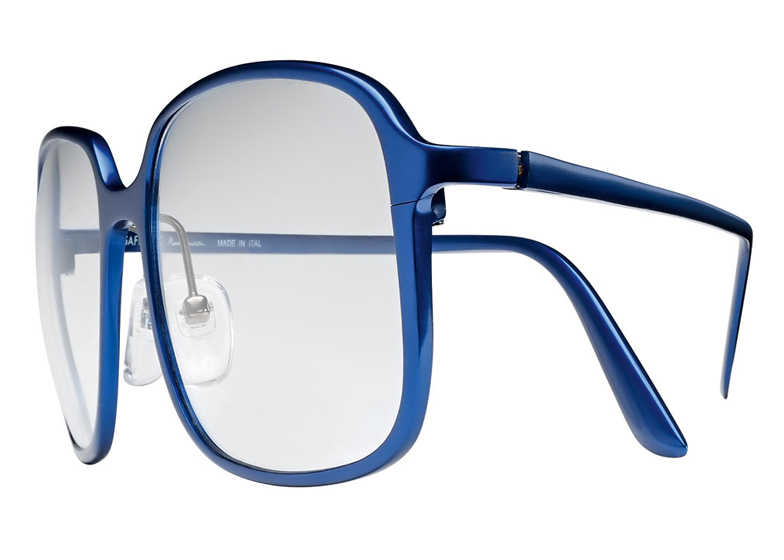 "Safilo celebrates 80 years of genuine passion for trendsetting eyewear. We want to share our unique story of cutting-edge Italian heritage, savoir faire, quality and innovation through an exclusive partnership with Marc Newson. Marc is one of the most eclectic and gifted creative minds of his generation. He has blended the richness of the past with the present and the future, through an exquisite capsule collection expressing an inspiring story of trust, excellence and timeless design," said Luisa Delgado, CEO of Safilo Group. The capsule collection, Safilo by Marc Newson, will be officially presented during the Salone del Mobile, inside the Triennale di Milano, a prime destination within the city which further underlines the strong relationship that exists between Safilo and the universe of contemporary design. Available on the market from mid of April 2014, the collection will be distributed worldwide through an exclusive network that, in addition to multi-brand concept stores and high-end international retailers, like Colette in Paris, Corso Como 10 in Milan, Dover Street Market in London and Mr. Porter, includes a selection of the best-in-class specialised opticians. 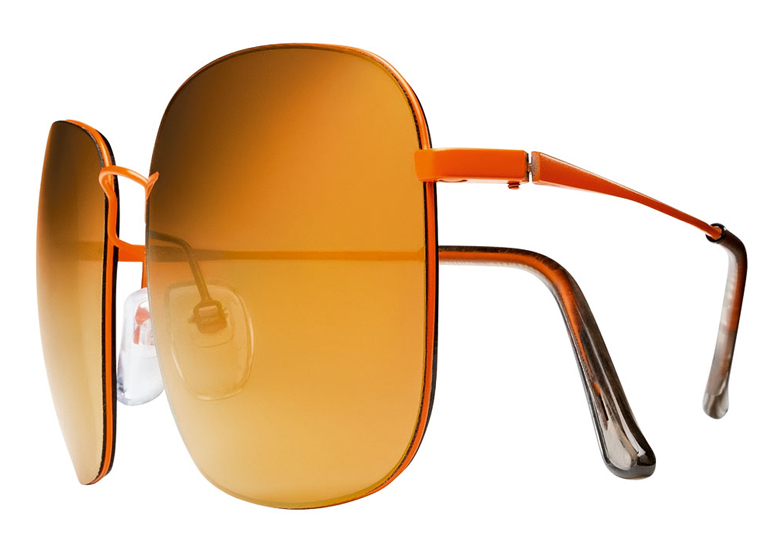 The project also includes a limited edition eyewear line (320 items - 80 for each of the four models: aluminium optical frames and sunglasses, UFO optical frames and sunglasses); these models come with a precious, soft calf leather Valextra case in a natural shade of parchment, embellished with the hot-stamped "Valextra for Safilo Marc Newson" silver logo.